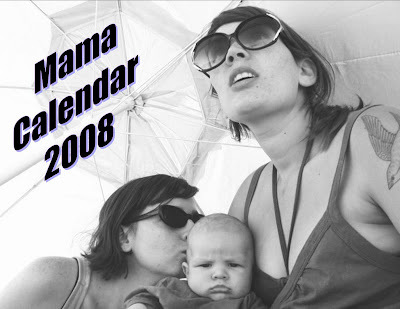 the 2009 Mama Calendar is getting underway! the mama calendar is what it is because of your words, pictures, dreams, visions, rants, raves, recipes, recipes for revolution. payable by check, cash, money order or paypal. 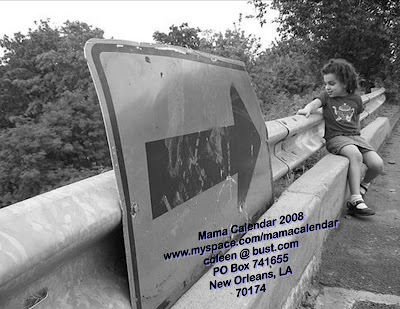 advance orders are what make the calendar project possible. ask about wholesale pricing for orders of ten or more. of beauty to last the year. mama herstory, and the work of numerous artist/activist/mamas. recent editions have featured ayun halliday, victoria law, laurel dykstra, sonja smith, trula breckenridge and heather cushman-dowdee, among others.